After about 6 months of annoying my friends with my back and forth’s about why I should or shouldn't get off of the contraceptive I was taking … I finally did it! I am happy to report that I am feeling better than I have in the past 2 years while on the pill and I would recommend this decision for anyone that is struggling with deciding what they should do for themselves. I joined IIN not exactly sure what to expect, my goal was to expand my knowledge in this field, but never would have imagined I would come out on the other end with a business and career! Not only are you learning from the top wellness advocates, you are also given the tools to successfully create your own independent business in one short year! Never heard of a lymphatic massage? Have no fear, I am here to explain it to you. What it is, how it’s done and of course, the major benefits of doing it! It’s a new and trendy practice here in America but places like Germany, France, Brazil and Australia have been practicing this style of massage for decades. These other countries understand the benefits + how necessary it is to take care of the lymphatic system. Travel, one of my favorite things to do. You can see somewhere completely new in just 9 hours, you can visit your family across the country, you can take yourself away for a self-care weekend…but let’s be real, no matter what the occasion and no matter how close or far you are going - traveling is f*cking exhaustingggggg. As most of you know, I am an ambassador for Carbon 38. I make it a rule to only work with companies I truly love and support, rather than just spewing out praise for brands I know nothing about. I do the research to find the best brands, learn who is behind the brand & make sure that their values align with my own. If they hit all of these marks, then I have the privilege of sharing these like minded brands with all of you! Protect Your Pits, sounds funny right? Who wants to think about their armpits, that’s weird and gross and it’s better if we just pretend they don’t exist….except they do, sooo let’s talk pits! You know I love me some Kopari Beauty. In March, I committed to making the switch in my beauty routine to fully non-toxic products. Kopari was my ‘gate-way’ drug & it completely transformed my skin. Did you know it is estimated that a woman puts anywhere from 300 - 500 toxic chemicals on her body every morning before even leaving the house? From cleansers, to skincare to make-up to lotions. New York! My home and my whole entire heart. I grew up on Long Island and spent a good portion of my adult life living in Manhattan, safe to say I did a lot of exploring to find the best spots for eating, drinking, hanging out with friends and everything in between. My love for matcha runs true and deep. There was a time when I tried to be a coffee lover, but honestly I never really enjoyed the bitter taste of coffee or the way it made me feel. I kept drinking it because I loved the morning routine of making or getting a morning cup of energy and carrying it with me for the better part of the day. Eventually, I realized that a major cause of my anxiety, sleepless nights & hormonal acne was coming from the amount of coffee I was drinking. Currently on a blueberry smoothie kick for breakfast. Instead of constantly drinking my smoothie through a straw I keep coming up with new ways to drink it. Blueberry smoothie bowl + Blueberry-Chia mini muffins. The past year has been a journey for me with food & skincare. I have slowly made changes in the way I eat and what food I choose to put in my body for fuel. Once I started seeing how the change in food affected me from the inside, I quickly realized I had to take a look at what I was putting on my skin that would then be absorbed into my body. Sundays. The perfect day to have friends over for late brunch with really good, healthy, homemade food. Brunch doesn't have to be about stuffing your face & feeling like you need to 'start over' on Monday morning. I have some serious life hacks that will have you craving to make a Sunday brunch right away. The Tone It Up 2018 Bikini Series is here .. and we are SO. PUMPED for it! Sign up's are now live and the series begins May 7th. This past weekend I went on a Self-Care weekend. Took time just for myself to sit, explore, relax & reset. This was my first time in Portland and I am now so in love with this city. Leaving Downtown LA to step into a real life Bob Ross painting, I physically felt my mind & body relax..which is very rare.I tried to hit as many spots as I could this trip, so I've compiled a list of my favorite spots I came across and the ways I added in self-care through out the weekend. Are you the kind of person that snoozes your alarm for an hour, scrolls Instagram for another 20 minutes and at the last second finally jumps out of bed in a rush to shower, change grab a coffee and run out the door for work? A weekend isn’t complete in my books without a talllll AF stack of protein pancakes. I.LOVE.PANCAKES. But, i don’t like how regular pancakes make me feel. Usually coming with a side of sleepiness, bloating & later, a sugar crash. I have found some amazing recipes, tips & tricks to start off your morning on the right foot, even when you only have 20 minutes to get yourself together. Sunday meal prep is going to be your new BFF. This may sound daunting but take a breath and hear me out. Meal prep doesn't have to be about making a million recipes and having every single breakfast, lunch and dinner for the week ready all at once. That sounds less than appealing. This is not the kind of meal prep I am suggesting. When you live in LA you spend a lotttt of time in the car. I also live Downtown so i spend a lottt of time walking to and from work. One of my favorite ways to spend my time while driving or walking is listening to a dope Podcast. I am a reader to learn, I usually can’t pick up a book that is just a story and get hooked. I like the knowledge that comes along with self-help or educational books and this carries over to Podcasts. What’s better than Sunday Morning Pancakes?? Try protein Sunday morning pancakes. We’re taking out the gluten, the heavy batter, the sugar, the additives and the sluggishness that comes with the usual brunch. Breakfast or Dessert?? We don’t know, and that’s my favorite part about this guy. This smoothie is perfect for morning or night, winter or summer. Mix up your smoothie game by making sweet potato your base!You can make this a cold treat or make it warm & healing. This french toast recipe will have you dreaming of it for the rest of the week. On my favorite Canyon Bake house gluten free bread, there is no sugar added making this a healthy version of your favorite classic. 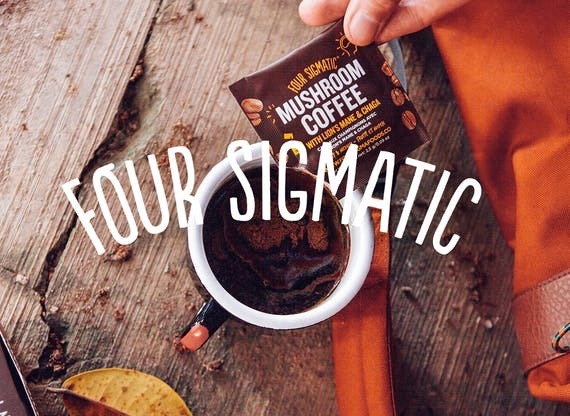 Adaptogens, what's the deal with these magic mushrooms and why is everyone suddenly using them? I had first heard of adaptogens when I was attending IIN. David Wolfe spoke about the healing power of Chaga mushrooms and I became interested in what these mushrooms were all about. What is better than a dance party on the beach? I created such a fun workout that can be done in your home, at the gym or - my personal favorite - on the beach! This class will rev up your metabolism for the rest of the day and have you smiling all day long! Need to get a quick workout in when you’re pressed for time? Try my Beginner dance cardio class! It’s high intensity with bursts of cardio to boost your metabolism and toning moves to sculpt your beautiful core, arms, legs, and booty. You don’t need to know how to dance. You can have two left feet…it’s totally fine! It’s just about shakin’ your booty, getting an amazing workout, and having fun!